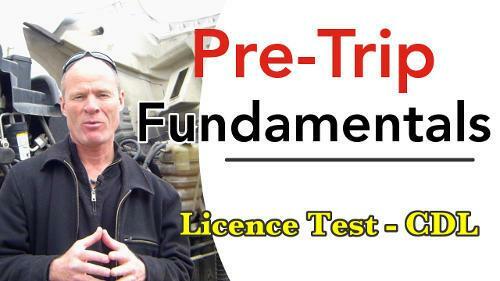 Pre-trip inspections must be completed more than every 24 hours....watch the video! All your training... all the manuals will tell you that you have to do a pre-trip inspection every day. On a daily basis, You have to do a pre trip inspection. That information is not entirely correct, and if you go on that information and you just do a pre-trip once a day, you're probably going to get a fine if you get pulled into the scale house. So, we're going to tell you when you need to do a pre-trip and give you the specific information, so you don't get a fine you don't end up working the day for free. 1) minimum 24 hours. You have to do a pre trip inspection on the piece of equipment that you're driving. 2) As well, anytime that you pick up new equipment you have to do a pre-trip inspection on that vehicle or that trailer. It is more relevant to semi trailer drivers because often you're picking up 1-2-3-4 trailers in a day. Every time you pick up a new trailer, you have to do a pre-trip inspection. Bus drivers the same, you get in a different unit you have to do a pre-trip inspection. 3) The other time that you'll have to do a pre trip inspection as well, is if you're working with another driver keeping a unit going twenty four hours a day and you're working 12 and 12, or three drivers working 8-8 and 8. The other driver comes in, you're gonna do a pre-trip inspection because that driver was ten miles down the road and picked a nail up in one of the tires - the tire's flat. Well... that driver is more interested in getting home than they are in doing a post trip inspection on that vehicle. 3) and when you're working off another driver. Don't put your driver's license on a pre-trip inspection form or log book because if the thieves get a hold of your license number it's very easy to steal your identity. 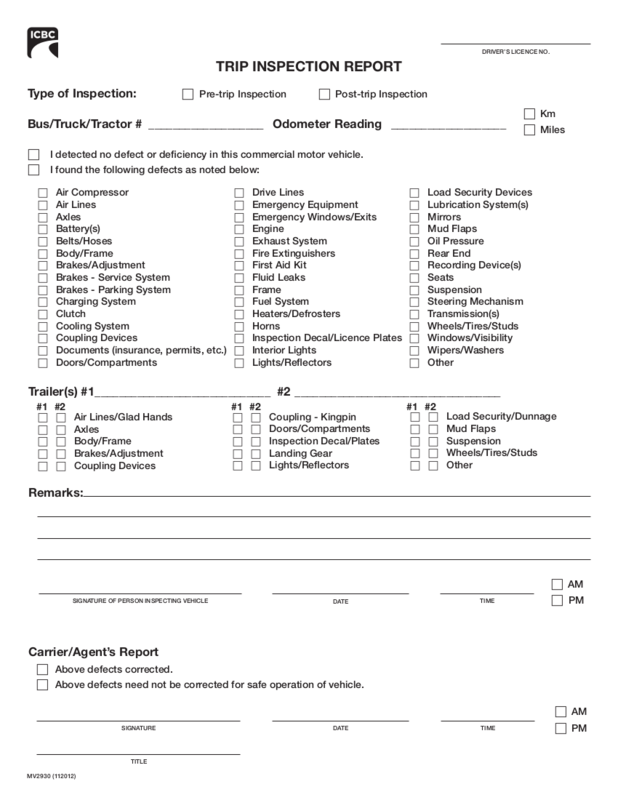 You have to fill out a pre-trip inspection form every time that you do a pre-trip inspection. I'm gonna show you two pre-trip inspections today because one of the pre trip inspection forms is older and has a place on it for the driver's license. And you can see that here. Up here on the ICBC pre-trip inspection form that we use in British Columbia— ICBC as the Insurance Corporation of British Columbia. Somehow an insurance company in British Columbia became responsible for driver licensing. I don't know whether there is a conflict of interests there or not - maybe... maybe not—the point is is that we no longer put driver license numbers on any of our legal documents - the log books or the pre-trip inspection forms because of freedom of information legislation and identity theft. So don't put your driver's license number on; however, the unit number for the truck, the date, the time you started the pre-trip. 2) "I found the following defects with this vehicle," check that box. And then check the appropriate box in the list that you can see here behind me. So, for example, if the fire extinguisher wasn't charged, you would check safety equipment and then note in the notes that the fire extinguisher isn't charged. Now, you have to have a fire extinguisher in the vehicle as per the regulations; therefore, it's a major defect and you have to get it fixed before you go. If you have a clearance light out, that's a minor defect and you can go without having it repaired. So trailers, we have multiple places for more than one trailer, first-trailer, second-trailer, third-trailer, put that in. If there's any defects with the trailer, check the appropriate box. On the top of the ICBC form you can also see there's a starting odometer - starting odometer number goes in there as well. Down on the bottom here of the ICBC form is where you sign, date, and put the time that you started your pre trip inspection. The bottom of the ICBC form—down here, right at the bottom of the form—is for the carrier. If you noted something was wrong with the vehicle that you're driving, the carrier signs off that they repaired it if in fact they did repair it. So they - the bottom piece here is for the carrier, for the mechanic, or whomever is going to fix your vehicle, if you noted that there's something wrong. Now, the other form that you see here is a more common form. It's on the bottom of the log book sheet, and it has a space right about me here for post trip, pre trip, the date, the time, the location where you did your pre trip inspection. So if you're running long haul, you're gonna have to put the location where you did it. Now the other thing that's important to note on your pre trip inspection is is that the location and the time match up with what's on your logbook if you're keeping a log book. Those two forms have to match up exactly because if you get pulled into the weigh scale, pulled over by authorities, they're gonna look and they're gonna make sure that the time in your pre trip inspection form and the time on your logbook match. As well, on this form, you have the location for your home terminal, up here in the corner. Sign and date for the driver down in the bottom and I've talked about this in previous videos on log books. The pre-trip inspection is a legal form. If you have a crash and there's a legal investigation they're going to look at your pre-trip inspection forms and make sure that you did not detect any defects with that vehicle. They're going to go back through the pre-trip inspection forms and make sure that the driver didn't note a defect on that vehicle for weeks at length of time and the carrier that you're working for didn't fix that. 2) and the starting and ending odometer. Sign and date the document. And then finally, on this log book here, you can see: "above defects need not be corrected for the safe operation of the vehicle" Also, if something was fixed, you check the appropriate box, or something doesn't need to be fixed, but there was a defect noted. As well, in this form here, you can see the unit number for the tractor. So those are two different pre-trip inspection forms. They're essentially the same information - little bit different. The one on the bottom of the pre-trip inspection form [logbook] has a location. It also has signature and date as they both do, but in different locations. 3) if you're working off another driver. 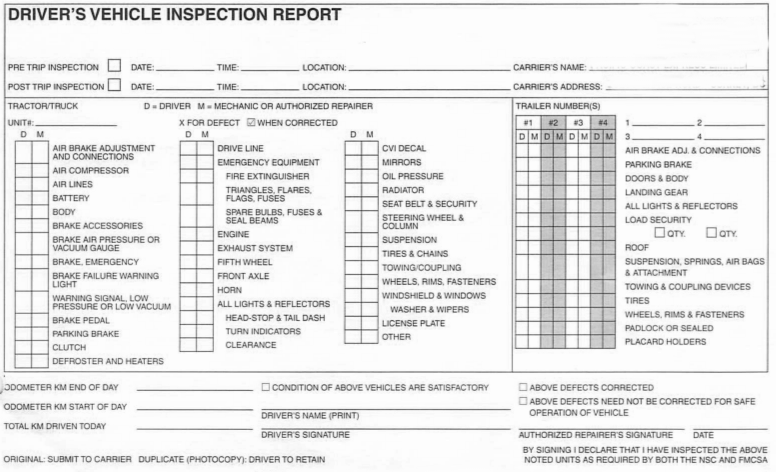 Pre-trip inspection forms are essentially the same. They all have the same information, the time that you start, check boxes for "defects need not be corrected for the safe operation of the vehicle." Note whatever defects there are, check the box that defects noted - check the appropriate box if its lights. Check the "light" box. Make a note in the comment. 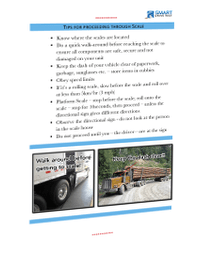 Sign, date - it is a legal document; starting & ending odometer, and the time on your pre- trip inspection form, and the location must match what's on your logbook. On the note of post-inspections in British Columbia, the legislation states that you do not have to do a post trip inspection unless you noted some sort of defect or found a defect during the course of your day. If you did that, you need to do a post-trip inspection. 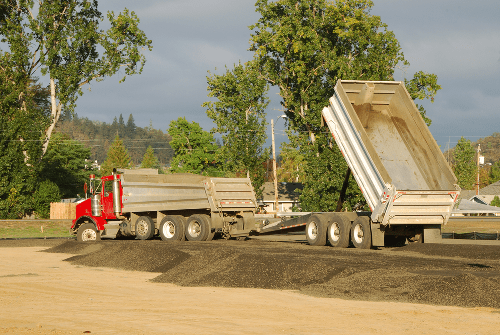 You can note the post-trip inspection on your pre-trip inspection form, but for the most part, it's not required by law in most jurisdictions; however, a lot of times a post-trip inspection can be company policy. 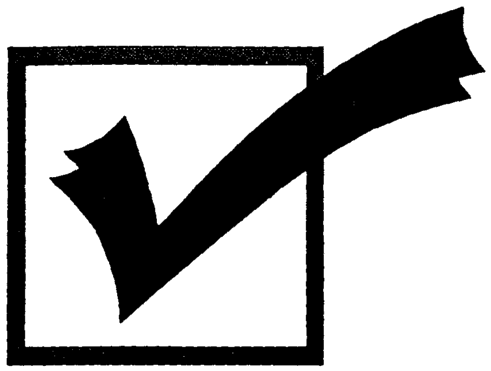 If it's company policy then you'll need to do a post-trip inspection, and on most of these pre trip inspection forms, there is a spot for a post-trip inspection check box - you just check that. Finally, if you get some of these old log book forms, there will be a place for your driver's license number. You no longer have to put your driver's license number in because of freedom of information legislation and identity theft.